The King's Birthday in Thailand falls on December 5th each year unless the day is a weekend day then it will be moved to Monday. The day celebrates the birthday of the King of Thailand, Bhumibol Adulyadej. 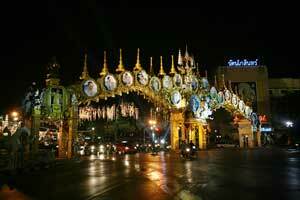 Buildings and streets will be decorated with flags and portraits of the King in celebration. The King was born on a Monday with the color of Monday as yellow, so the streets will be decorated with yellow marigolds as well. The current King of Thailand has ruled since June 9, 1946 making him the longest ruling head of state. King Bhumibol Adulyadej was crowned Rama IX of Thailand in 1950 making him the ninth king of the Chakri dynasty the longest dynasty serving Thailand in its entire history.